Adelphi’s Janes & Bolles Collection is reproduced from the earliest known American wallpaper sample book, now in the collection of Old Sturbridge Village. It was produced by the firm of Janes & Bolles, which operated from 1822-1827 in Hartford, Connecticut. The sample book provides 22-inch square samples of each pattern, with alternate colorways for most of the patterns. Adelphi offers the Janes & Bolles papers in their original or in customized colorways. Pawprints and Stripes is a classic example of the “field and stripe” patterns that were a hugely popular choice for middle class homeowners in the early 19th century. 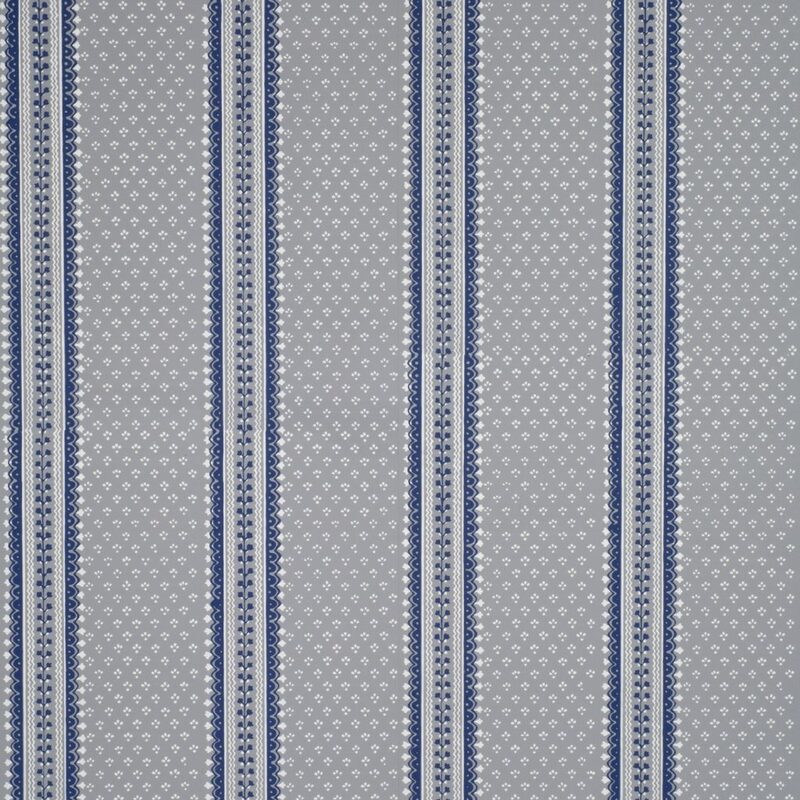 Imperial Measurements: Repeat continuous, width 18 ¼ inches, length 11 yards, straight match. Metric Measurements: Continuous, 47 cm, 10 m.